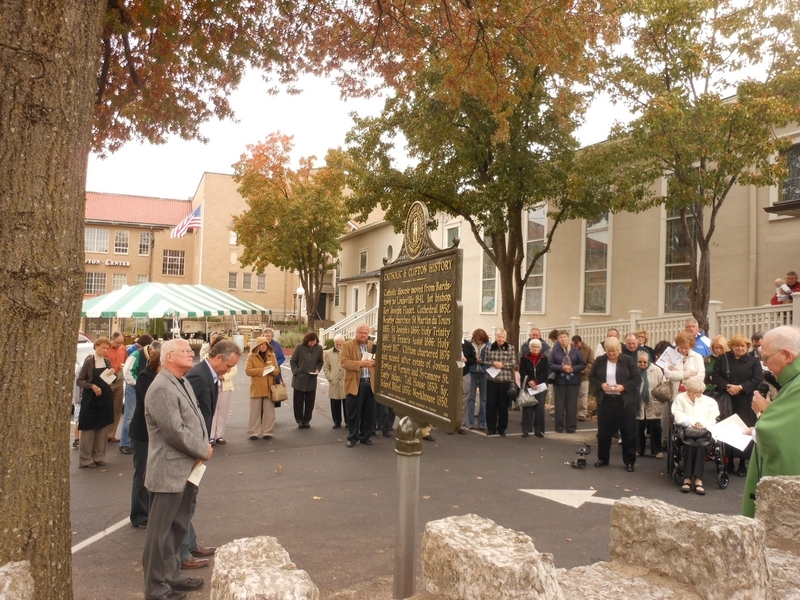 Historical Marker #2385 in Louisville commemorates St. Frances of Rome Catholic Church, named for Francesca Romana who inspired women to pray, care for the sick, and feed the hungry. Frances was born in Rome to a noble family in 1384 and died in March 1440. Her desire as a young girl was to enter religion but, at her father's wish, she married at age twelve and had three children. With her husband's blessing, she was able to help the poor. She sold all of her jewels and clothes and distributed money to the needy. She started a lay order of women called the Oblates of Mary. These women lived in the world but pledged to offer themselves to God and serve the poor. Eventually, they bought a house where the widowed members could live. After the death of her husband, she moved into the house and was made superior. At age 52, she had the life she had dreamed of when she was eleven. She died four years later. She was canonized in 1608; March 9 is her Feast Day. In Louisville in 1886, Bishop McCloskey purchased Steller’s Woods at Cavewood Avenue (now Clifton) and Payne Street for a new parish. It was dedicated on October 2, 1887, and Father Thomas White, who came to the U.S. from Ireland in 1876, became the first pastor. He served there until his death in 1918. The organ was built by Louis Van Dinter in 1884 and installed in St. Mary's Church in downtown Louisville. In 1937, St. Mary's was razed and the organ and stained glass windows were purchased and installed in St. Frances during the interior renovation of the church. 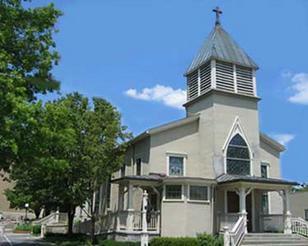 St. Frances is one of the oldest Catholic churches in Louisville. St. Frances of Rome Church: St. Frances of Rome Church. Marker Dedication: St. Frances of Rome Church marker dedication on October 28, 2012. Becky Riddle, “St. Frances of Rome Church,” ExploreKYHistory, accessed April 22, 2019, https://explorekyhistory.ky.gov/items/show/287.